Have you thought about what will happen to your property and other assets when you die? Few people like to think about their own mortality, let alone discuss it with others. However, not doing any estate planning means losing control over your hard-earned belongings, risking your family’s financial well-being, and missing the opportunity to minimize taxes. A properly structured estate plan with a valid will makes your wishes clear, which helps to avoid uncertainty, confusion and family conflicts during an already difficult time. Having an estate plan also minimizes delays in transitioning your assets to your heirs and beneficiaries. If you die “intestate” (without a will), your province decides how to distribute your assets. This requires appointing an administrator to fill the role of executor of your estate. If you have children under 19, their inheritance is held by a bonded guardian or public trustee – which also requires finding an administrator, leading to further delays and expenses. Estate planning provides peace of mind and helps you ensure that your partner, children and other dependents will be taken care of in a timely manner. A list of your assets, including properties (primary residence, rental properties, cottages, etc., including jointly owned properties), family businesses, investments (stocks, bonds, RRSP, TFSA, RRIF, etc. ), insurance policies, bank accounts, trusts, pension plans and personal property (vehicles, jewellery, art, etc.). A list of your liabilities, including mortgages, credit card debt, loans, investment-related debt, financial support for family members, etc. Objectives for your estate plan, such as minimizing taxes (including income taxes, capital gains taxes and probate fees), naming your beneficiaries, business succession plans, creating trusts, making charitable donations, paying for a grandchild’s education, or pre-planning your funeral. Important documents, including your will, powers of attorney, insurance policies, real estate deeds, contact information for your beneficiaries and the executor of your will, etc. (You don’t need to provide all of these during an estate planning meeting, but you should know where to find them.) 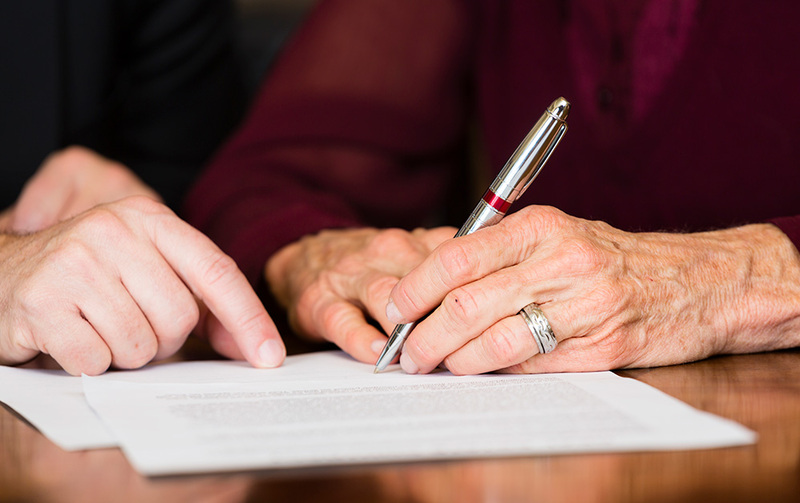 If you don’t yet have a will or powers of attorney, talk to your financial professional or lawyer about creating these and other important advance directives. Who will be your estate representative, the person responsible for administering your estate and carrying out instructions in your will after you pass away, including funeral arrangements, notifying your beneficiaries, settling your debts with money you’re your estate, completing your final tax return and other tasks. Your financial professional can help you understand the various elements of estate planning, estimate fees and taxes (which can be significant), and achieve your estate planning objectives in the most cost-effective way. For example, your advisor may recommend changing the ownership structure of certain properties to minimize the capital gains taxes that are triggered upon your death. They may also advise distributing some of your assets to your beneficiaries while you’re still alive (for example, giving gifts of money to grandchildren) to reduce the overall tax burden when you die.